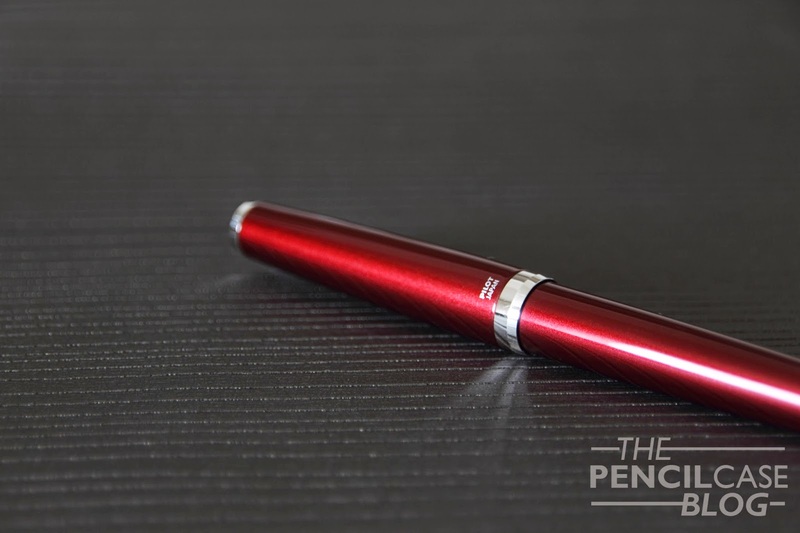 It's been quite a while since I reviewed the Pilot Justus 95, which was a great pen with a really interesting nib. But that wasn't the only pen Pilot sent me! I also got to play with this: the Pilot Metal Falcon, another semi-flex pen. The -almost- Iconic concave clip, which blends in perfectly with the modern appearance of the Metal Falcon! 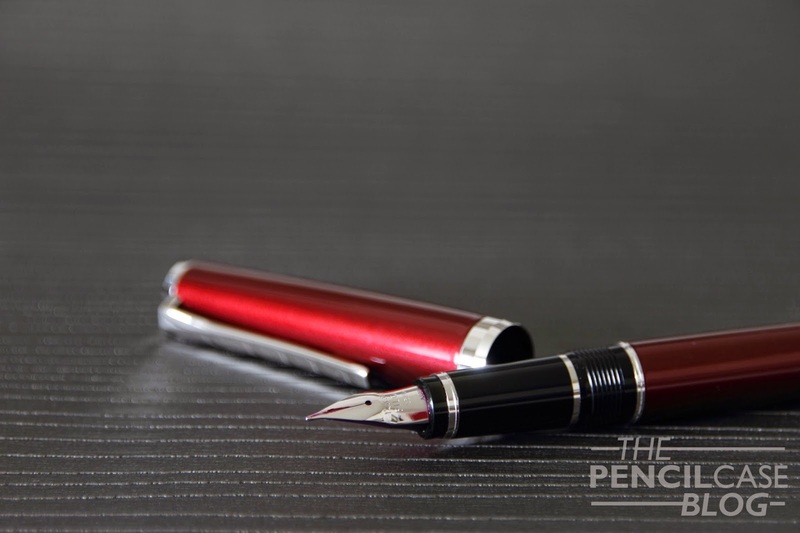 The Pilot Metal Falcon is, as the name suggests, an -almost- solid metal version of the normal Falcon (the grip section is still resin). It's obviously a lot heavier than the resin version, which will appeal to those who thought the original Falcon was too light. But the weight isn't the only difference here, in fact the appearance of the pen has gone through some drastic changes as well. When compared to the original, the metal falcon got rid of the decorated center band on the cap, and instead a wider, plain rhodium-plated center band was added. 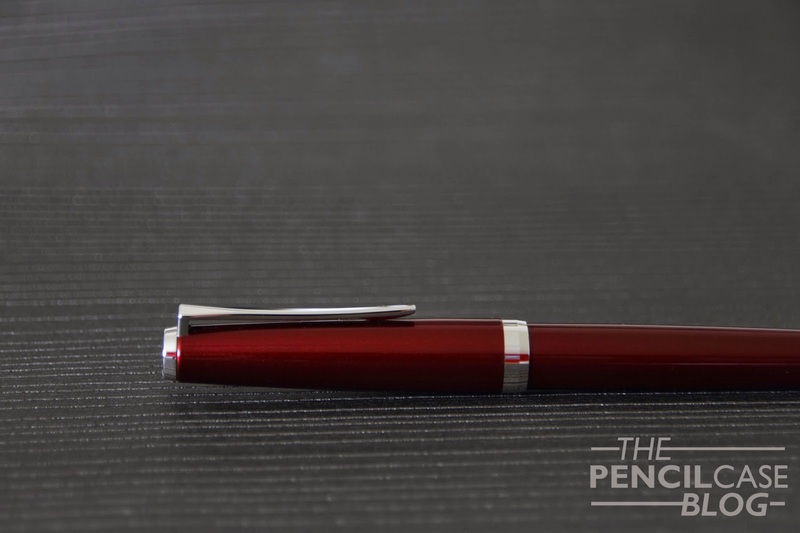 The top and bottom of the pen are now solid rhodium-plated parts, instead of the ring and fineal on the original. 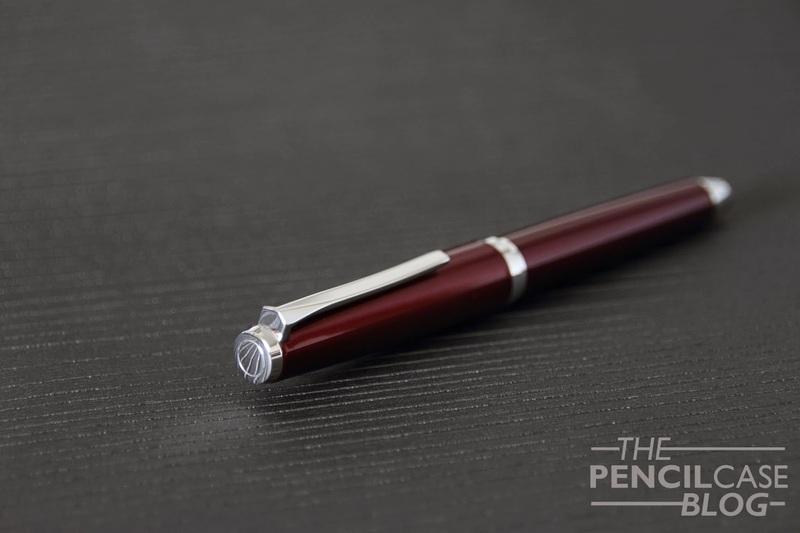 The only thing that is still exactly the same is the grip section, I was a bit surprised when I noticed the seams on this part, which looks a bit cheap on a 250 dollar pen. 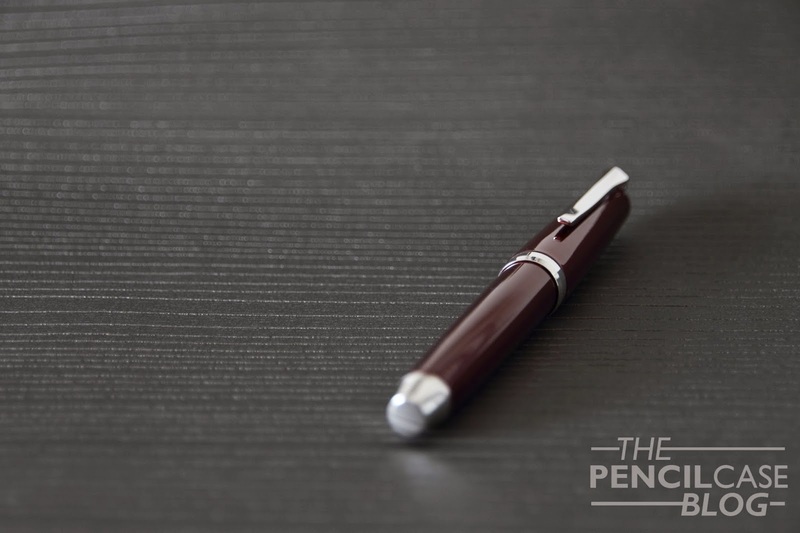 The falcon is a decently sized pen, at almost 14cm closed, though at only 12.5cm, it does lose some of that length when opened. Posting the pen is possible, and it does so very securely. Both open and closed, it is just a few mm longer than the regular falcon. With cap, the metal falcon comes in at 33 grams, quite a lot heavier than the normal falcon, which is only 19 grams. A great feature that distincts the Metal from the original Falcon, is the fact that this one can house a larger converter. Due to its slightly larger dimensions, it can hold the larger, and better Con-70 converter. The Con-70 is some kind of vacuüm pump filler. It has a greater ink capacity (1ml), and it's infinitely easier to get a full fill than with the smaller Con-50. 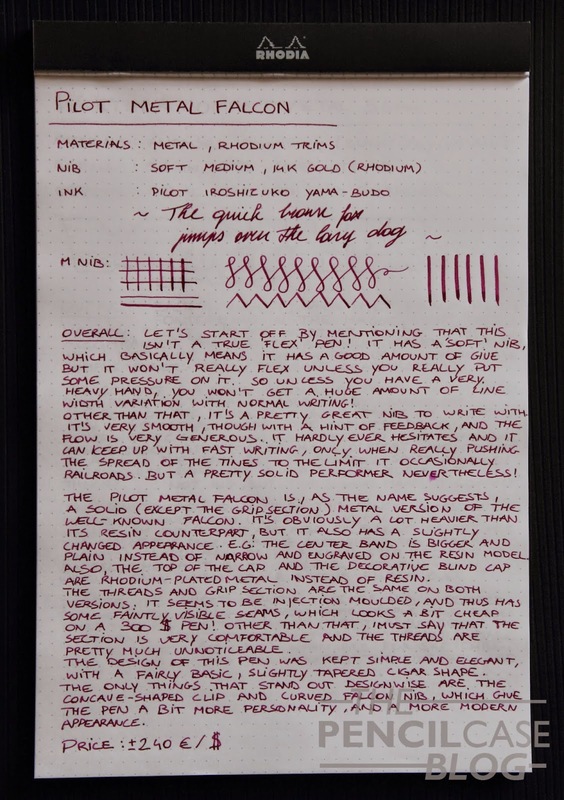 As for the nib...Let's start off by mentioning that this Pilot Metal Falcon isn't a 'true' flex pen. It has a 'soft' 14k gold nib, which basically means it has a good amount of give, but it won't really flex unless you really put some pressure on it. So unless you have a very heavy hand, you won't get a huge amount of line width variation with normal writing. The Falcon is more of a semi-flex nib, which is pretty much the best you'll get on a modern pen. Other than that, it's a pretty great nib to write with. The 14k medium nib is smooth, though with some noticeable feedback. The flow is very generous, which is necessary when doing broader strokes. The flow was able to keep up in almost every situation. It hardly ever hesitates when you pick it up, fast writing isn't a problem either. Only when I really pushed the tines to the limit, I could get it to railroad, but that's the only time it actually stuttered. If I had to choose between the original and the Metal Falcon, I think I would have gone for the more classic appearance of the original version, but that decision is purely based in aesthetics. If classic styling isn't your cup of tea, if you want a better ink capacity or perhaps just a slightly heavier pen, the Metal Falcon is the better option. 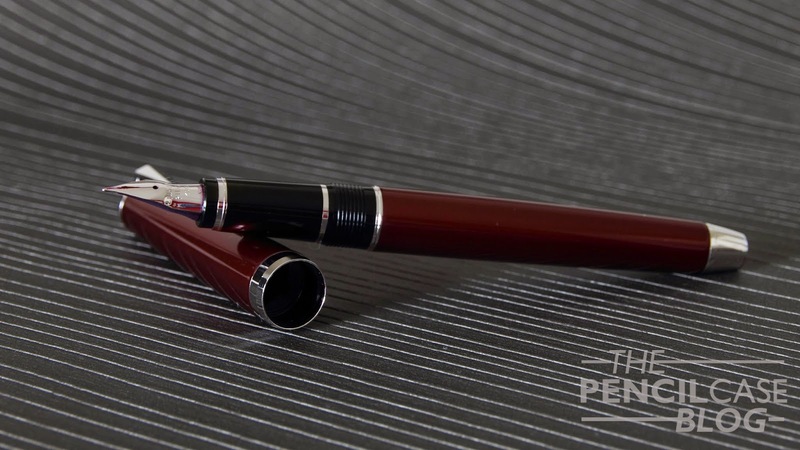 There is however, a considerable price difference between the two: the Metal falcon will set you back 250-300 EUR or about 240 USD (There is a rather considerable price difference between Pilot pens in the US and here in Europe, I don't know why?) whereas the normal falcon can be found for 145 USD.